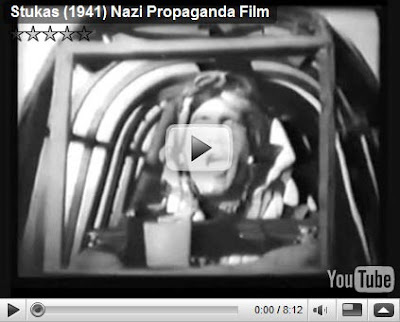 A short scene from the feature film "Stukas" (1941), directed by Karl Ritter, was made in the Festspielhaus at Bayreuth. The scene shows a depressed and apathetic bomber being cured by listening to Götterdämmerung at the Festspielhaus. The music – which he says would have sounded even better played "vierhändig" on a piano (!) – gives him spirit and energy to return to the battle field.